Exploring Linux, Chrome OS, and beyond. The Librem 15 offers both hardware and software privacy and security features in an attractive, open-source-friendly package. Trying Linux is easy--you can even install it on a USB drive or disc to try it out before committing. Enter the world of open-source here. Debian is built for those who crave a system that will "just work" instead of being on the bleeding edge. We take a close look at the latest Debian 9 "Stretch" release. Evernote still doesn't officially support Linux, but that doesn't mean you can't get your note-taking on. Don't have a DD-WRT router? Get some of the same DHCP and DNS features with a Raspberry Pi. Linux laptop lovers now have more choices. The System76 Galago Pro challenges the Dell XPS 13 for slimmest and fastest portable. A text-based web browser like Links can save the day when Linux experimentation goes awry and prevents you from using a GUI. You can minimize the damage caused by malware by running Windows in Linux as a virtual machine. A virtual machine's isolation helps keep you out of trouble. Here's how to do it. Linux-based Syncthing lets you sync data for free and control who's is able to see it. Get better performance and security when using your Wi-Fi on Linux by editing your connections. Dell's Precision 5520 is a great Linux workstation out of the box, and it's a powerful laptop, too. The latest version of Ubuntu doesn't have a long list of upgrades for the desktop, but these three features are worth checking out. While Unity 8 was something a lot of Ubuntu fans looked forward to, rolling with the GNOME project again has some positive points. Whether it's for the home or home office, a Linux server can provide an array of digital services for the family or a budding business. 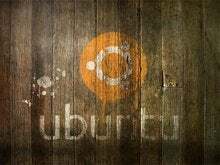 Long-term support (LTS) versions of Ubuntu are released in even-numbered years. The new Ubuntu coming out in April will only be supported until 2019. WebAssembly's embedded binary format has the ability to speed up performance and make applications available across platforms. AMD adds support for Zen's SMT in kernel code. Kaby Lake got its groove back on Linux.